We’ve all seen the commercials on television showing steam cleaners and Swiffer cleaners being used on floors. They show them as a better alternative to cleaning your hardwood, vinyl and laminate flooring. It’s hard not to buy into what they are selling. They make cleaning look like an easy job. Simply push a button and with a light touch, have your floors cleaned in minutes. Of course, these companies say their products are safe for any floor type. They want you to use their products. But are they really? Overwhelmingly, the answer is no. Our warranty does not cover damage caused by improper installation, negligence, water erosion, abrasion, extreme heat or temperature, cleaning care or maintenance contrary to written instruction provided. In other words, if you use a steam cleaner, your warranty is voided. Engineered for premium performance exclusively on hard floor surfaces. Our steam machines can be used on all sealed surfaces: sealed hardwood, linoleum, ceramic tile, marble, or other stone flooring. We do not suggest using steam cleaning on unsealed surfaces such as unfinished hardwood, unglazed ceramic tile, or unsealed ceramic stone. 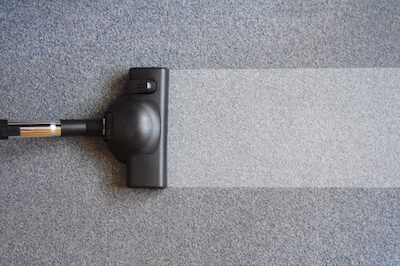 If a surface has been treated with wax, the sheen may be removed by the heat and steam action. Dissatisfaction due to improper maintenance. Discoloration or damage caused by adhesives or floor care products not recommended. Improper maintenance. Maintenance must be followed according to manufacturer’s guidelines. The bottom line is that if you choose a particular flooring for your home, adhere to manufacturers guidelines to ensure your warranty remains intact for the life of your flooring, or as long as your warranty is in place. Flooring and installation are made easy with the PRO! Flooring Brokers. Contact us, visit our showroom, or call today at 303.788.0113. We look forward to helping you!